You are invited to be a part of a new era at GIO Stadium with Brumbies Rugby reinvigorating the game day and corporate hospitality experience in 2016. Enjoy world class rugby live and up close and experience their new and improved corporate hospitality offerings. The Brumbies commercial team have revamped and redesigned each event space at the stadium in a bid to provide more enjoyment, better value and an unrivalled rugby experience for businesses to entertain their clients and staff. The d cor has been updated in many areas, and new spaces have been created to provide a game experience that will appeal to a broad spectrum of businesses, each with different business development, and networking needs. There is the formal seated 3-course Directors Dinner presented by new Signature partner Austbrokers Canberra, the intimate atmosphere of the Corporate suites and popular crowd charged atmosphere of the “Brumbies have revamped and redesigned every single space and offering this year in an attempt to provide more enjoyment, better value and an unrivalled rugby experience for you and your clients.” Open Boxes in the TAB Rewards Terrace. The ultimate fan experience is the Locker Room where guests are granted access to coaches, and can revel in the pre-game excitement via a tour of the players tunnel. The Stable presented by Bartercard and Legends Club are for the business and social clubs, looking for group, individual and ad hoc ticketing, all of which can be purchased online. 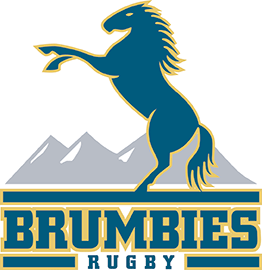 Join in their success as Brumbies Rugby look forward to a successful season on and off the field. Private room with finest view of the game for your client entertainment. Premium catering & beverages packages. Presented by Bartercard, a casual bar setting for your business and private rugby enjoyment. Superb catering and bar offering in a very comfortable setting. Superb views of the game. Buy single or multiple tickets. Functions for individual or smaller groups. Private bar area and view game from premier vantage point with undercover seating. Presented by Austbroker’s Canberra, must attend sport networking function. Fine dining, premium seating and rugby experience. Ultimate Brumbies fan and corporate inside the ropes’ experience. Coach appearance, Captain’s run, Tunnel and locker room visits as well as outstanding catering and beverage package. Our most exclusive networking and rugby lounge experience. Networking event with public sector information focus. Guest speaker program in lounge environment ultra-premium food and beverages. Mix business with pleasure, and impress your clients, staff and friends at Brumbies Rugby premium hospitality events at GIO Stadium, Canberra. The extensive range of hospitality products provides an unparalleled mix of events that will appeal to all businesses. Connecting Rugby enthusiasts and business professionals is the essence of these hospitality offerings, allowing guests to develop business and social relationships within a unique atmosphere, supporting Canberra’s much loved sporting team. Contact Brumbies Rugby to discuss a tailored package for you and your guests.